Check out the different ways an actor's death can be handled by the TV or film writers he leaves behind. Phil Hartman died in 1998 after being shot by his wife, Brynn Hartman. At the time of his death, Hartman played news anchor Bill McNeal on the comedy NewsRadio. His death was addressed during the premiere of Season 5 in an episode called "Bill Moves On," where it's revealed that McNeal died from a heart attack. After McNeil's funeral, each character reads personal notes left for them by the news anchor. The producers opted to replace Hartman's character with fellow SNL alum Jon Lovitz, who played an old friend of McNeal's. NewsRadio wrapped after its fifth season. Cory Monteith died in 2013 at the age of 31 from a drug overdose. He passed before the start of Season 5 of Glee. Initially, producers opted to delay shooting the new season so they could figure out how to handle Finn Hudson's storyline. They opted to not mention Finn's death until the third episode of the season, after the two-part Beatles premiere episode. In the end, producers ultimately decided not to reveal exactly how Finn died. 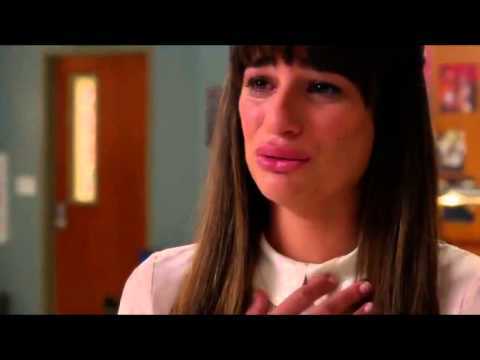 In a move that mirrored real life, Rachel Berry (Lea Michele) sang the tear-filled "Make You Feel My Love." Finn's stepbrother Kurt said during the show's opening scene, "Everyone wants to talk about how he died, but who cares? It's one moment in his whole life." The show's lack of closure regarding Finn's death was met with some fan outrage. Glee's co-creator Ryan Murphy explained the producer's tough decision on how to deal with Finn's death: "How somebody died is interesting and maybe morbid, but we say very early on in the episode, 'This is about a celebration of that character's life.' That might be weird for some people, but it felt really exploitative to do it any other way." John Ritter died of complications from an aortic dissection in 2003 at the age of 55. At the time of his death, Ritter played a sports writer by the name of Paul Hennessy on the sitcom 8 Simple Rules for Dating My Teenage Daughter. He was in the middle of a rehearsal during the second season when he complained of pain and needed to be taken to the hospital. On the show, Ritter's character suffers from a heart condition and dies in an episode titled "Goodbye." The sitcom continued on without Ritter. Several different replacement characters followed including James Garner, who played Paul's father, and David Spade. The sitcom even changed its name to 8 Simple Rules. The show never recovered from Ritter's death, however, and was subsequently cancelled after the third season in 2005. Redd Foxx died of a heart attack at the age of 69 while filming his comeback series The Royal Family. The sitcom was only seven episodes into its premiere season when Foxx collapsed on the set during rehearsal. Jackée Harry was brought in as a replacement for Foxx (who played the character Al), as the younger sister to Al's wife, Victoria. Harry's character was there to help her sister deal with the loss of her husband, and his passing became a storyline in the show.